When I said I really loved that zig zag stitch, I wasn't kidding. More plushies, anyone? Since I still had a bum-load of stretchy, black seaweed-esque fabric from that failed sushi roll costume a couple years back, it was time to put it to better use. 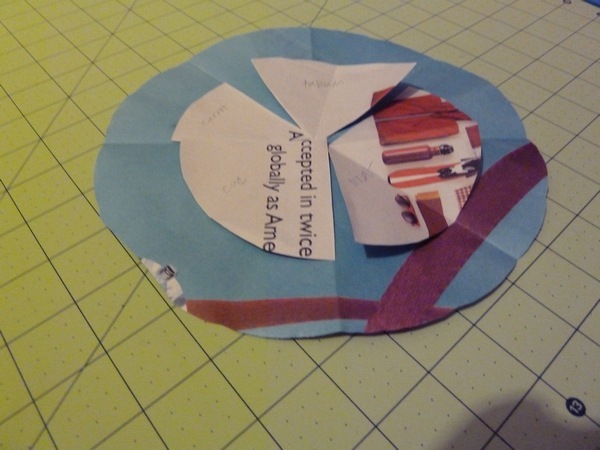 Start with a pattern, this time a simple circle (this particular one was around 8 inches) with a smaller circle inside for "filling". 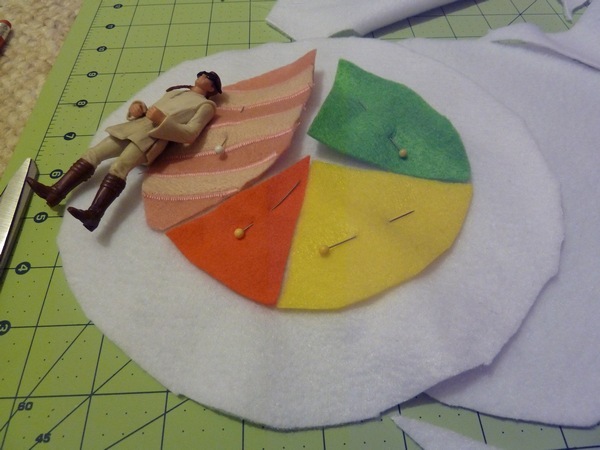 I cut the smaller circle into pie chart shapes for each filling I wanted to make. 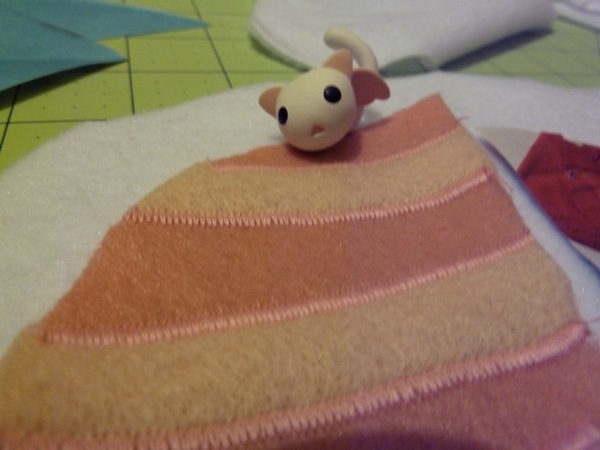 Using felt (because I don't have that many colors of fleece), I started with my favorite filling - salmon! Mmmm. Don't you just want to lick it? I have a serious weak spot for salmon sashimi. 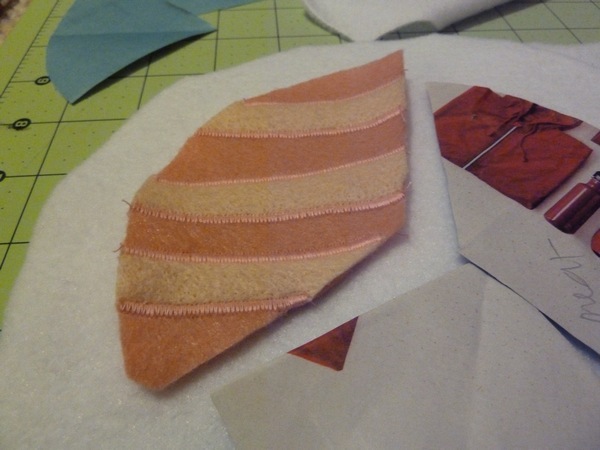 I just used my zig zag stitch to put strips of tan colored felt onto pink felt, and trimmed any crazy edges. Next, cut out all the other ingredients and pin them in your desired place. Penga-Sis, if you couldn't tell, decided to play with my drawers of toys while I worked on her pillow. Obi-Wan is tanning on my delicious salmon! Other flavors are carrot, takuan, and avocado! I don't know if I'd eat this combo in real life. Ha. Zig Zag stitch all of it down with white thread, and repeat for the other end of the sushi roll, remembering to mirror the filling ingredient placement. The hardest part? 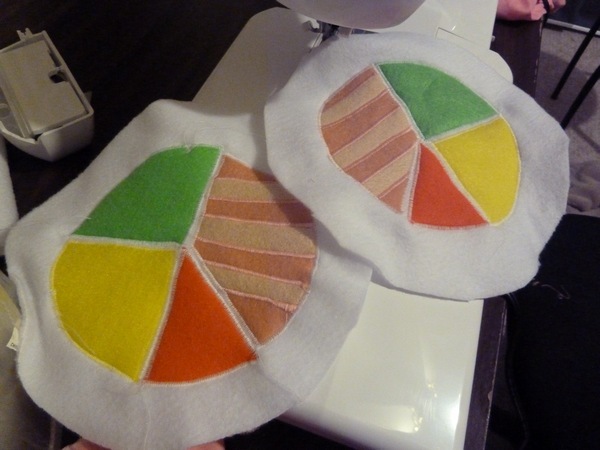 Now sew the 26" sides to your white circles (right fabric sides facing). 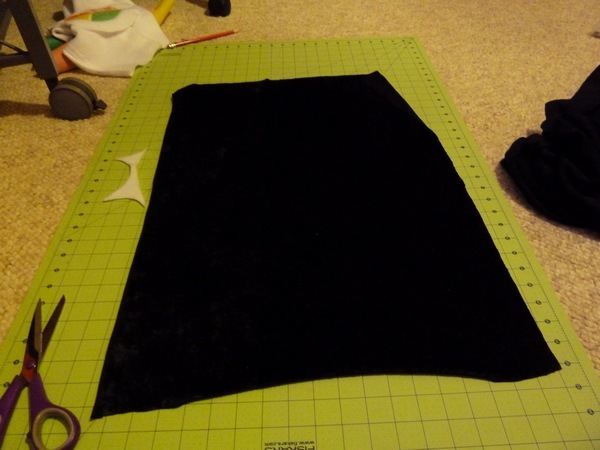 Sewing stretchy fabric in a curve isn't the easiest. But, eventually you'll make it through! 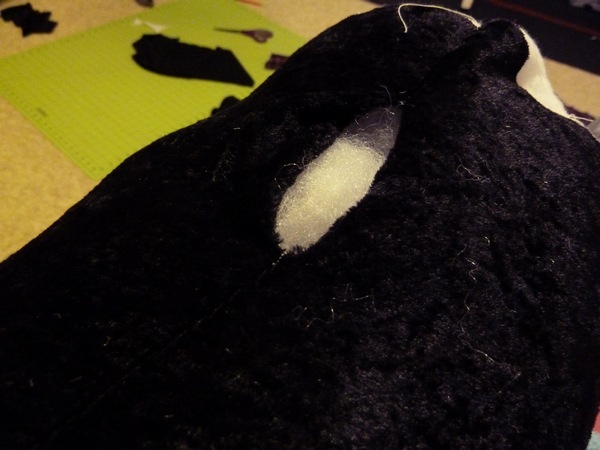 And then you can sew up the side seam of the black nori, though leave a small gap for stuffing. Flip the fabric inside out and get ready to stuff! My rice to filling ratio seems a bit off. Though more filling is always better, imo. 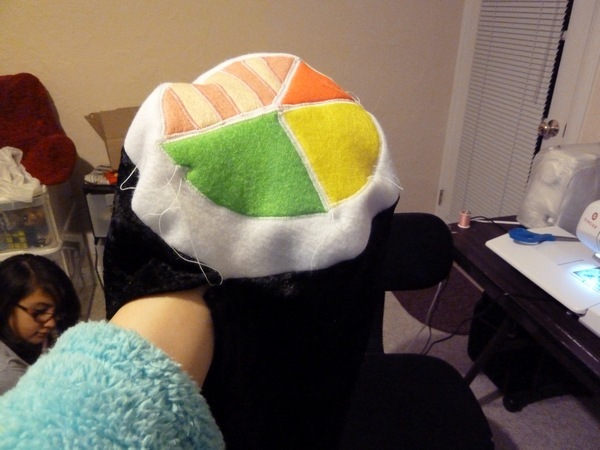 Sew up the gap with some black thread and the hidden stitch, and you may now call yourself a sushi chef! Maybe someday I'll learn to take nicer pictures instead of in bad lighting on my couch. Ha. 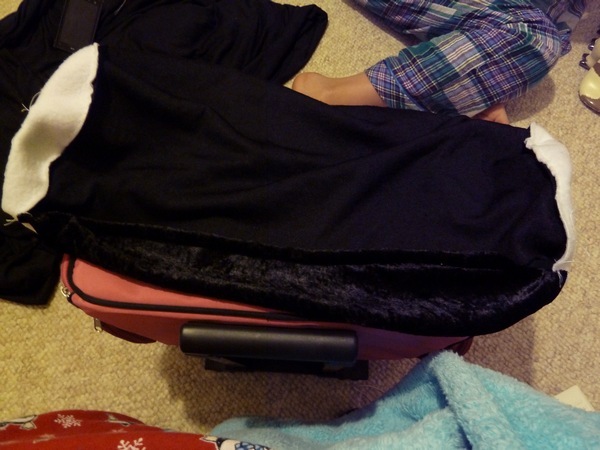 The only thing I don't like about black stretchy fabric and fluff-filling is that it doesn't hold it's shape well at all. It's kind of...floppy! Adding more fill just made the sushi expand. So next time I might use more of a batting or something with structure. 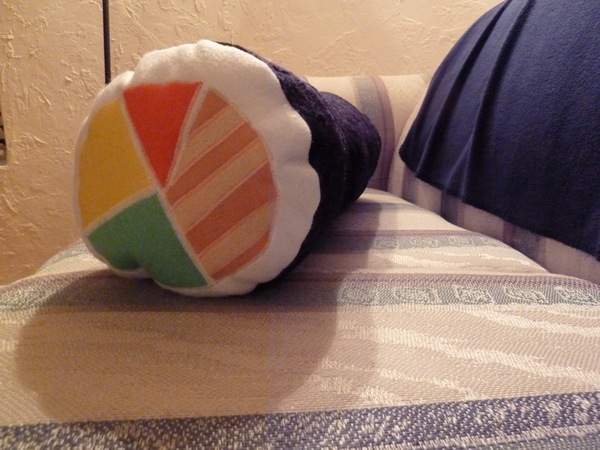 Though Penga-Mom has already given me a standard roll pillow form with an express order for several custom sushi covers. I suppose that is one way to do it, so we'll see! 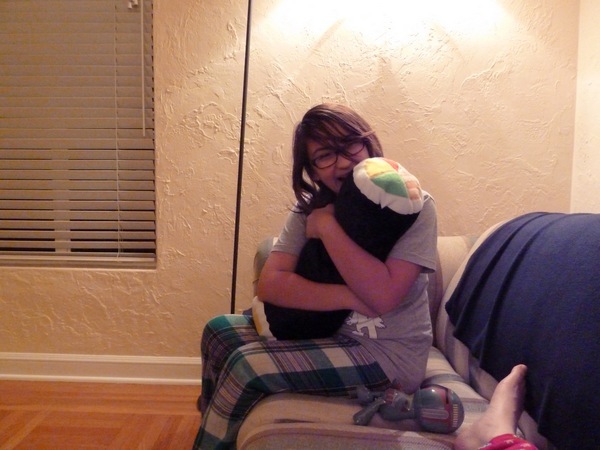 Penga-Sis says, "Sweet sushi dreams!" What do you like in your sushi rolls? 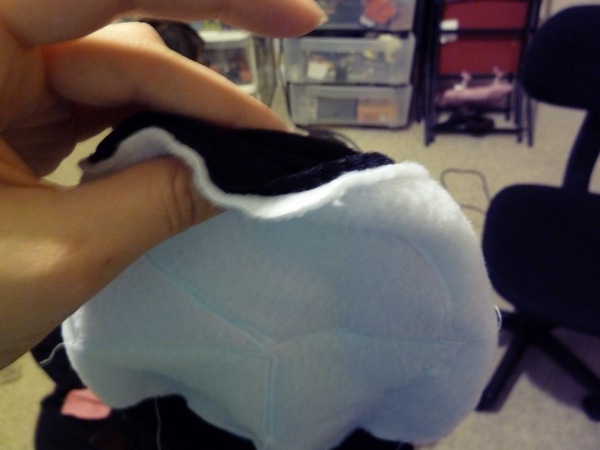 I'd suggest lining it with something not stretchy so it holds it shape better? Either way, I love it! You are so awesome. Do you know that? I loooove it!! And what great lumbar support! =) My favorite is the spicy tuna hand roll, but that's more of a cone, I guess. My mom used to make huge futomaki with all sorts of stuff in it. My friends said it was like sushi pizza! This is so freakin' adorable! 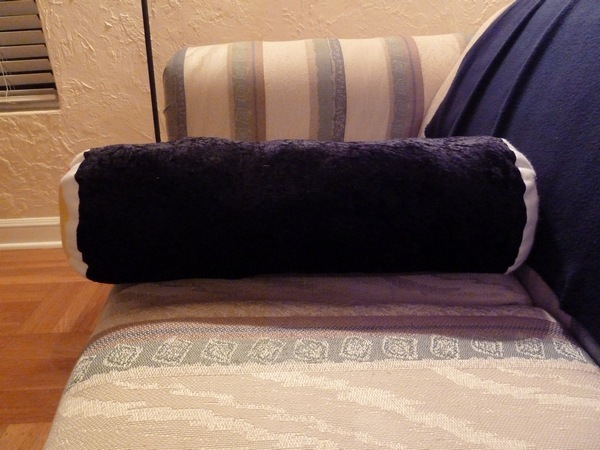 And I bet you'll have better luck next time with the pillow form, those make things so much easier when making pillows! I loooove all of your DIY projects, but these might be my fave!